- Weight per crate: roughly 800-1000 Kg. - Weight: Roughly 2.50 grams. per cm.3 or L*B*H*2.5/1000 per piece. We are a prominent organization engaged in the domain of manufacturing, supplying and exporting superior quality Sagar Black Sandstone. The demand of offered Sagar Black Sandstone is increasing at a rapid pace as these are processed using best grade raw material. Sagar Black Sandstone also known as Black Sandstone or Kalahari black is extensively used in various Exterior Paving’s & landscaping. 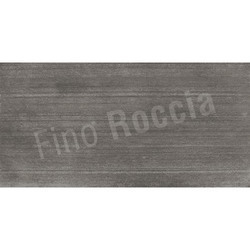 This color is available in limited quarries and therefore is quite exclusive. Shree Ganesh Stones is very popular in the industry for offering the exquisite range of Sagar Black Sandstones. Its application enhances the beauty of the building. It gives a unique natural look. Very tough and strong, acid proof and durable. 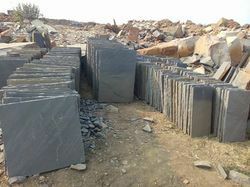 We are engaged in offering Black Sandstone to our clients. These are a sedimentary rock generally comprising of quartz, silica, metal oxide and calcium carbonate. These are very durable and climate resistant. Sandstone pavers can be used for pool surrounds, pool contending, patios, balconies, external flooring as well as cladding wall. - Size: As per client requirement. - Use: in constructing temples, houses, buildings, etc.